We spent over three years meeting with local organizations, neighbors, merchants, stakeholders and city planning to understand the community’s vision, priorities and input. These meetings have shaped our approach with designing the site, including a generous south facing mid-block open space to preserve quality air and light for our immediate neighbors, and moving the building’s lobby entrance to the more residential Oak Street frontage – allowing for an engaging Divisadero streetscape with full-span retail. The Divisadero architecture references a classic commercial block with strong base and crown from the 1920’s, reinterpreting it for the 2020’s adding a subdued elegance and prominence to the street. The Oak façade features a lower neighborhood scale, reflecting the materiality and bay rhythm that characterizes the adjacent residential structures. The “something new” bridges the Divisadero and Oak conditions, bringing together the vertical orientation of Divisadero and horizontal accents of Oak to create a playful abstraction of traditional bay windows meeting the corner. 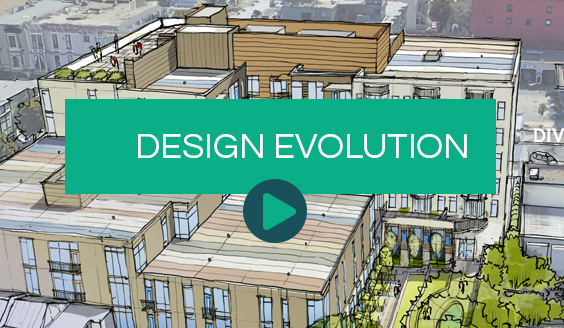 The team is excited to share the project’s design evolution with neighbors at a community open house in early 2019. The project proposes a walkable, pedestrian-scale, vibrant public realm. 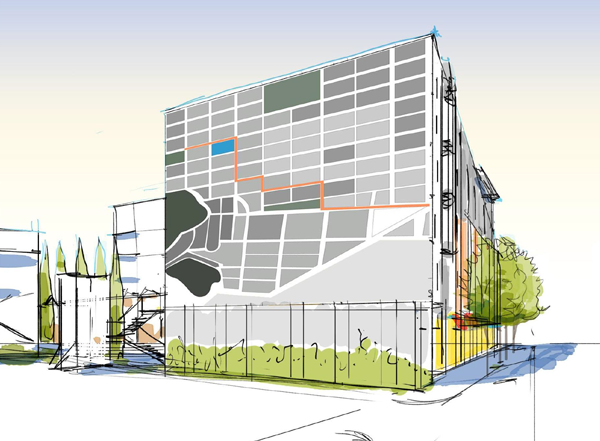 A hallmark feature of the proposal is its commitment to public art, including a six-story mural on the north side of the building. The project will also offer streetscape improvements along the perimeter of the building, including new trees, foliage, sidewalk widening and bulb-outs, as well as removing all but one of the existing curb cuts, to improve pedestrian safety in line with the priorities of San Francisco’s Vision Zero initiative. 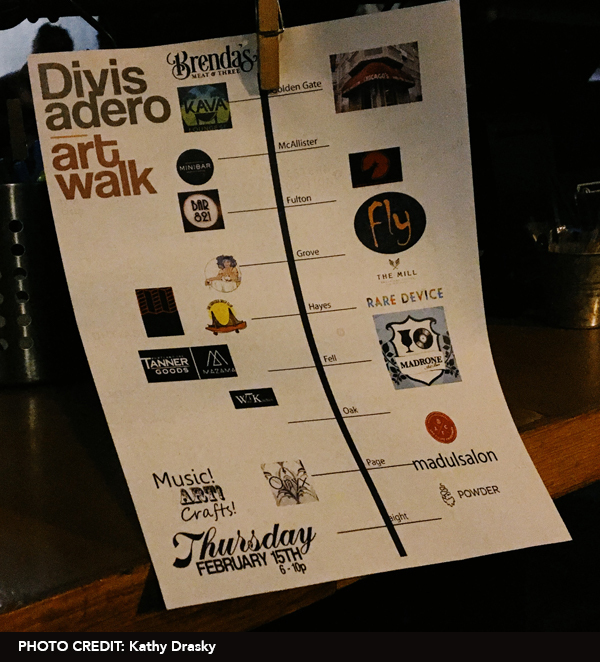 With over 100 unique merchants, restaurants and entertainment venues in the neighborhood, 400 Divisadero provides a welcome opportunity to create an inclusive connection between Divisadero and the Lower Haight. 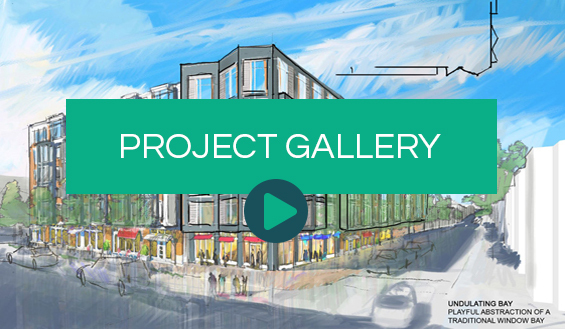 The project proposes 8,100 square feet of ground-floor retail space along Divisadero. The commercial space is intended to accommodate a variety of neighborhood-serving retail uses and sizes. In May 2018, the project team held a Retail Workshop to encourage the community to participate in the development process and to share their vision for linking the retail corridors. View a synopsis of common discussion topics and themes.